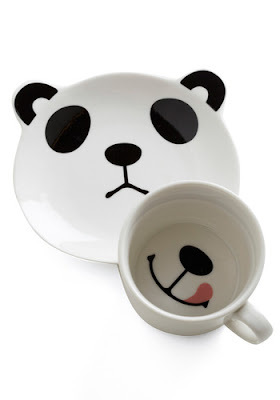 Collection of 'Modern Cups and Creative Cup Designs' from all over the world. 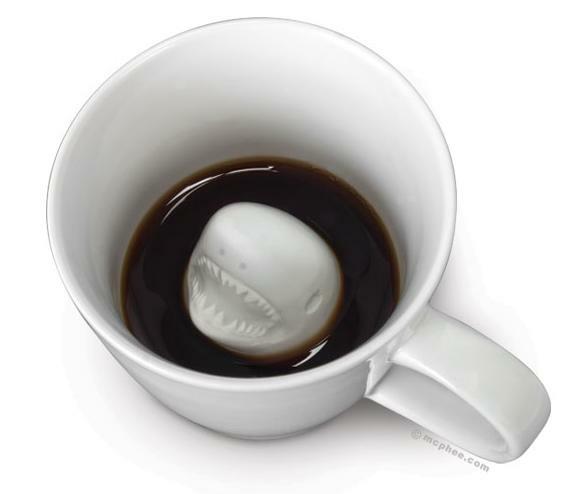 Sharkcup: As you continue to sip from this normal looking porcelain cup, at the bottom of it you will find a 3-1/4" tall head of the white fish looking at you. Face Cup: It looks perfect for milk and cookies, coffee and doughnuts, tea and biscotti, or your favorite snacks-time combinations. 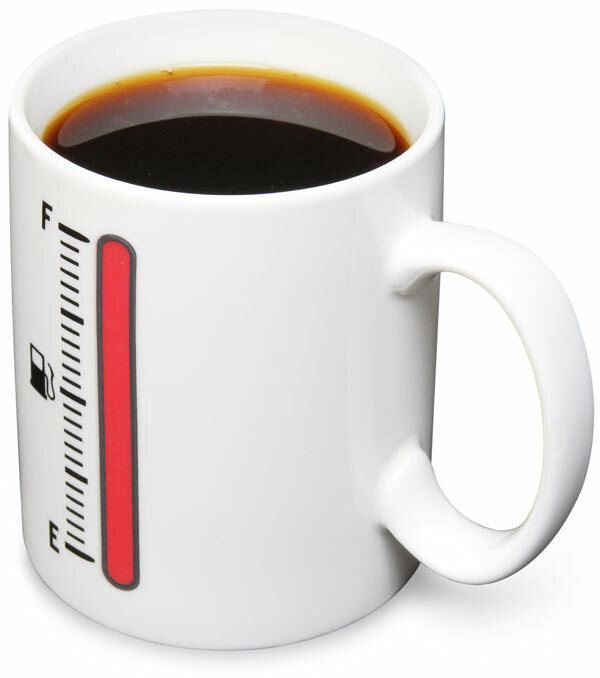 Tankup Cup: Watch the fuel-gauge turning red and climb up to the full level as you fill this cup with a hot beverage. 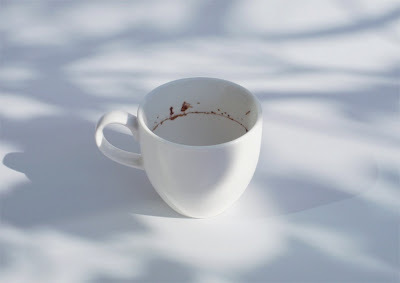 Tiny Landscape in The Coffee Cup: At first glance it looks like a used uncleaned cup of coffee; but this is actually a landscape drawing. 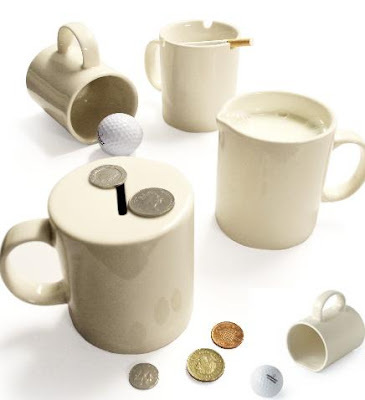 Multipurpose Cups: These cups have been slightly altered to give them an additional functionality; moneybox, milk jug, or golf practice. 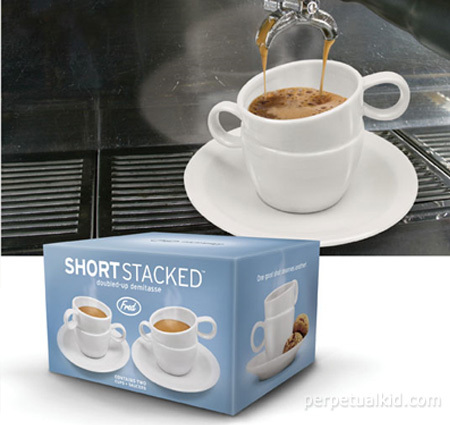 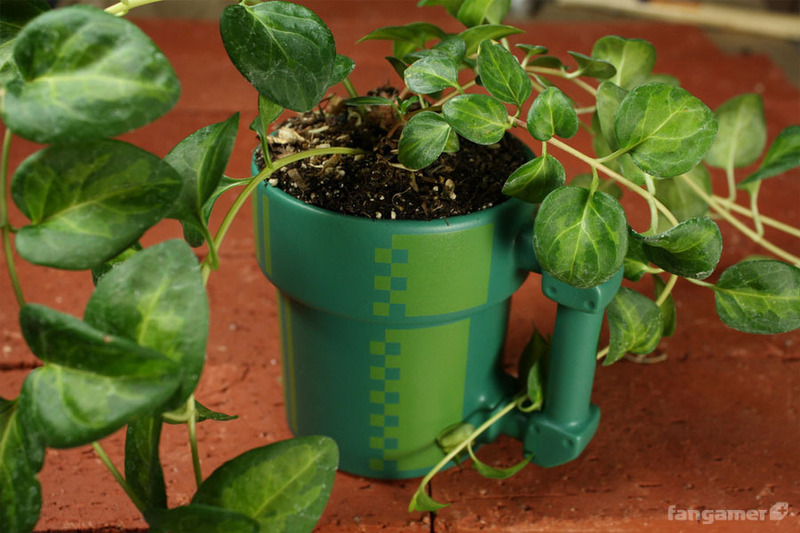 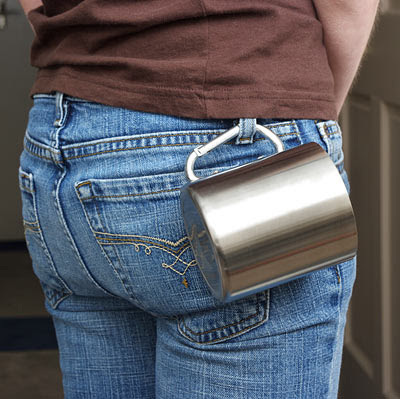 Cuppa-Can: It's a cup, it's a can; it's a doubled walled insulated porcelain cup shaped to look like a soda can. 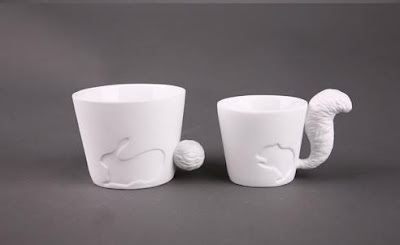 Dual Handle Cup: An unusual cup designed to look like two cups are together. 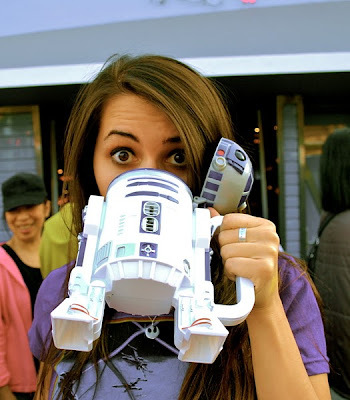 R2-D2 Cup: A cool cup shaped like the R2-D2 from Starwars. 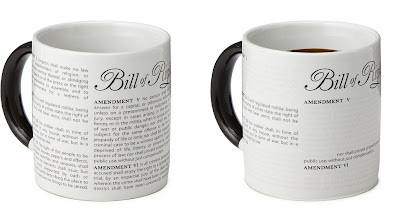 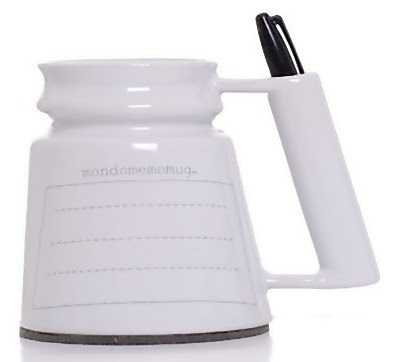 Motor Memo Cup: It holds your sharpie and has space to make notes right on your cup. 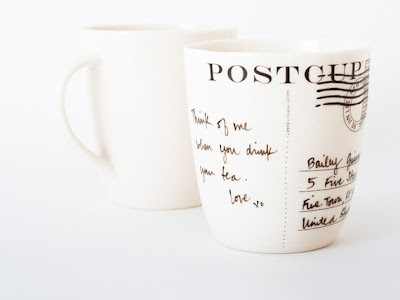 Postcup Cup: Write a message or create art using a Pebeo porcelain pen on this cup. 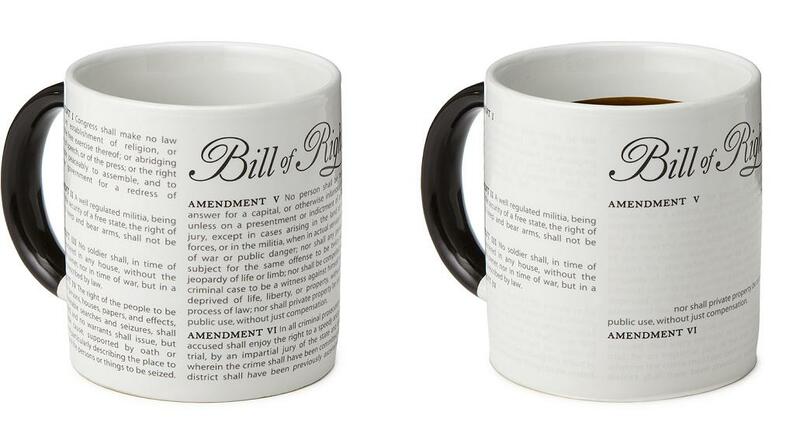 Let it dry for 24 hrs after application, and then bake it and your words will be permanent. Disappearing Message Cup: As you pour a hot beverage, the message disappears and later reappears after drinking up the content or cooling down. 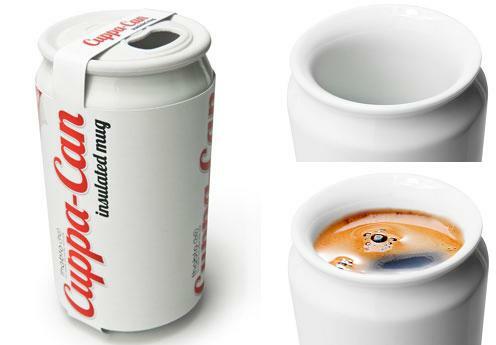 Don't miss to check out "Modern Cups and Creative Cup Designs - Part: 1| 2| 3| 4| 5| 6." 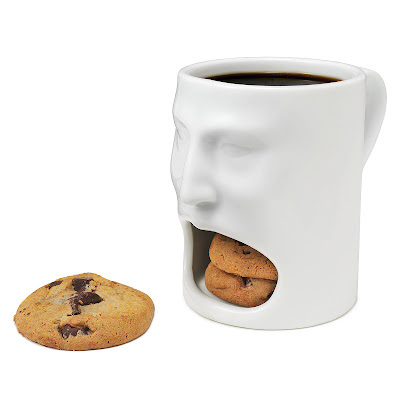 16 Creative Pillows and Cool Pillow Designs - Part 8.